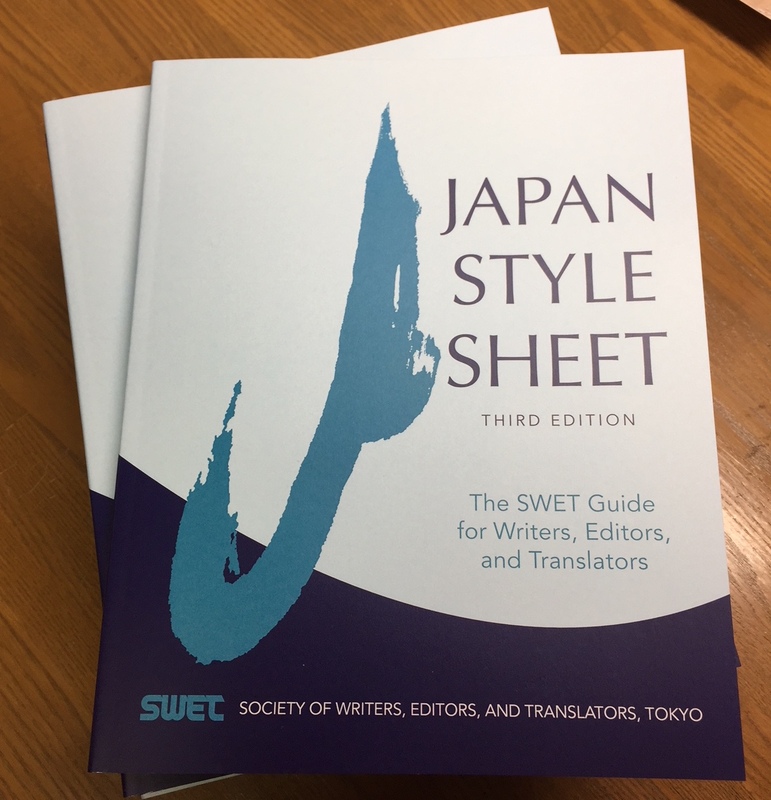 Japan Style Sheet Third Edition Published! Stalwart companion of editors, writers, and translators of Japan-related texts, SWET’s Japan Style Sheet has a new face, new content, updated information, and its own dedicated website. Please have a look at japanstylesheet.com, where you can view and download the new third edition. For the book in printed form, be sure to order now (https://www.swet.jp/shop/japan-style-sheet) to obtain a copy from the limited first printing. Note that SWET members can order one copy free of charge. The third edition and its website have all the durable content you’ve relied on over the years, along with links to online tools that expand its support even more. Put JSS 3 to work to streamline your work and enhance its polish. The expertise of SWET members spanning nearly 40 years is behind you when working with transcribed Japanese across the spectrum of texts, from academic treatise or scientific paper to blog piece or webpage, and from tour guide to restaurant menu or business card. Behind the publication of the JSS third edition and the creation of its website are the members of SWET and their fellows going back to 1980. Years of professional collaboration and networking forms the society that makes these tools available free of charge for the first time. The JSS website puts the tried-and-true answers to your questions at your fingertips and its Q&A page marshals SWET expertise to solve new situations and challenges to come. JSS 3 is not just for editors obsessing over hyphens and italics; translators can make their work look more professional with its guidance and writers can check conventions for handling Japan-related content. This time-tested guide can provide a model for other texts where cultures mingle in English writing.